Black & White Portrait Photography Learn how to prepare your sujects, select sets, wardrobe and props, use indoor and outdoor lighting techniques and more with the advise offered by several top professionals in this comprehensive book. 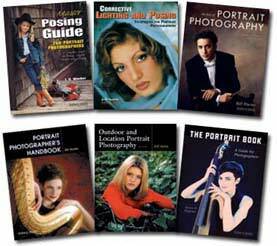 Also covers techniques for creating attractive portrait displays and tips for effective marketing and selling B&W photography. The Portrait Book: A Guide for Photographers What makes an image marketable; how to find work in family, editorial, or commercial portrait photography; promoting your work and invoicing clients; techniques for pro-quality results. Outlines the skills you need to achieve great success, the places you need to go to find it, and page after page of hard-won, intimate portraits that pop off the page. Interviews, a list of self-assignments, and a host of indispensable tips. Portrait Photographer's Handbook Today, portrait styles have become more relaxed and less formal than ever-yet, the old rules of posing and lighting are still surefire ways to make your client look his or her best. In this book, Bill Hurter explores the roles of both influences, classic and contemporary, in creating portraits that sell. 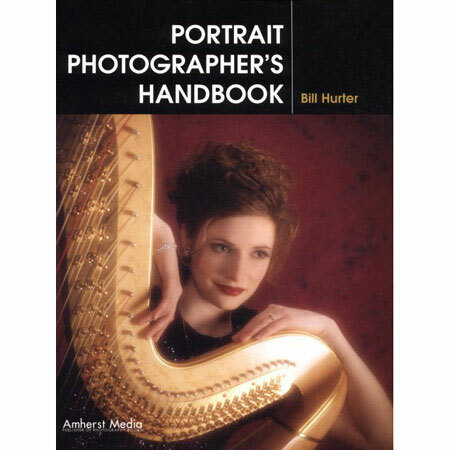 From lighting and posing, to composition and color management, this book is a comprehensive look at the ins and outs of producing professional-quality portraits. Best of Portrait Photography This indispensible guide contains everything you need to know about posing, eliciting expressions, creating dynamic compositions, utilizing traditional lighting setups, and more. You will learn how to best pose and light children and compose family portraits; how to create poses that flatter your clients, and how to utilize compositional forms that keep viewers locked in to your image. Filled with practical, hard-won advice, the portfolio section of the book offers an inside look at the working habits, styles, and strategies of industry pros. 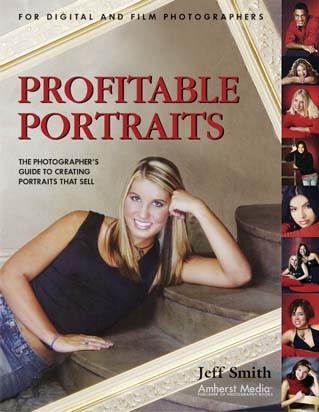 Profitable Portraits The Photographers Guide to Creating Portraits that Sell This book will help you to cut back on flashy gimmicks, learn to hone in on your target client's needs, and tailor your posing and lighting strategies to suit the intended portrait recipient. Fantasy Portrait Photography Whimsical concepts, costumes and mystical sets-combined with digital imaging, creative printing techniques, and hand-coloring-to to create images that really shine. Uncover techniques used to create over sixty awe-inspiring images. From black & white '40s-style portraits, to Tom Sawyer-like boys with fishing poles and straw hats, to small girls in gossamer gowns in a woodland setting, to fairy-tale wedding images that make the fantasy come to life, with these stand-out ideas for individual and group portraits, readers will find a wealth of ideas to supercharge their own creativity. Success in Portrait Photo: Marketing and Management Tech: Subjects covered include envisioning business goals, establishing a level of specialization, attracting the right clients, and improving profits. Ongoing tasks are examined in detail, such as delegating responsibilities, proper accounting, understanding changing markets, and continuing education. Professional Digital Portrait Photography This guide addresses all the details of going digital, from choosing the right equipment to incorporating Photoshop into the work flow. 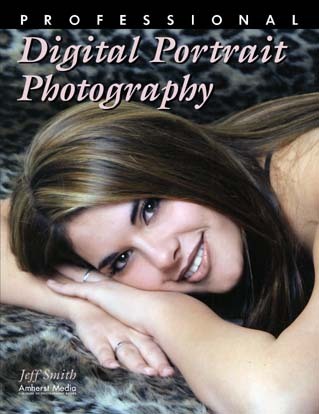 Included is technical information on using digital cameras and updating shooting and processing areas, as well as practical tips for selling digital portraits to clients and adjusting production schedules. The process is complex, but this guide helps to ease the conversion to digital. Also emphasized are the challenges and rewards of digital proofing.